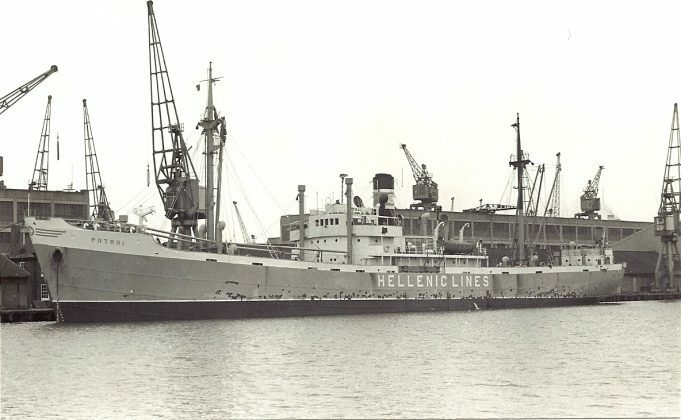 The Greek Hellenic lines vessel PATRAI. She was built in 1947 @ 2754 grt. A very regular visitor to the Thames. What was her fate? RWJ?